"I'm Coming to Get'ya, Leaf!" With a massive 37.000 plug-ins sold in December, the global market for electric cars continues to grow at a healthy rate, ending the year with some 315.0000 units, with record sales from several models, like the Tesla Model S (5.498 units! ), Renault Zoe (2.556 units), BYD Qin (1.819 units), with a couple of chinese models delivering completely unexpected results, like the BAIC E200 EV (2.615 units! ), or the BYD e6 (1.129 units, a new personal record, after 5 years in the market). The Nissan Leaf was the Best-Selling model in December, as it is the case during the whole year, but this time it had some real competition, having to perform its second-best-ever-month (5.976 units) in order to outrun the insane performance of the Model S, that fueled with the AWD versions, it was only the third model to reach the 5.000 threshold in one month. Looking at the full year ranking, the first position was for the Nissan Leaf with a record 61.027 units (But it has lost 4% share regarding 2013...), followed by the Mitsubishi Outlander PHEV, which ended the year holding the Silver Medal by just 66 units, considering that the #3 Tesla Model S sales will be still subject to small changes in the future, the Outlander might have the #2 still in danger. In #7 the BYD Qin continues to impress (And improve its personal record month after month), while the Renault Zoe benefited from a record-shattering performance in December to climb one position to #9, we have to go back to 2013 to find the last time that the french hatch was so high in the ranking, while the #3 in the Monthly Ranking won by the Zoe was a first for the french hatch. Because this is a full year edition, the ranking includes cars from #11 to #20, where we can see some interesting things, like two rising stars coming from China (Zotye E20 and BAIC E200 EV), or the VW e-Up! rising in the ranking, but also some major dives, like the Volvo V60 Plug-In (From #7 to #17), the Renault Kangoo ZE (#10 to #18) or the continued fall from the Mitsubishi I-Miev, from #5 in 2012, to #12 the next year and now in #19...The I-Miev needs an urgent replacement, Mitsu. In the Manufacturers ranking, we've got Nissan again in #1 with 20% share (It has lost 3% Share), followed from a far by Mitsubishi with 12% share and Tesla, with 10%. Below the Podium, there were some last minut changes, with Chevrolet surpassing Ford and reaching #4, while BMW lost not one, but two positions in one month(! ), dropping to #9, to the benefit of BYD (#7) and Renault (#8), both with record months in December. Looking below the #10 Kandi, we can see two rising powers: Zotye in #13 and BAIC in #15, both of them with Top 10 ambitions in 2014, while Volkswagen has been slowly getting closer to the Top 10, it has ended the year in #11, while down below Volvo is agonizing in #16, down 8 positions regarding last year. * Mitsubishi - Despite a being a major player in the Plug-In market, truth is that the Japanese carmaker is relatively small in the fishtank of Global Auto Groups, and that is starting to show, now that they finally have a hit on their hands, with the Outlander PHEV, they don't seem to have the ability to get the full profit from it, especially by entering in the largest SUV market in the World, the USA. Without it, their growth perspectives are severely lowered, while the rest of their offerings are starting to get a bit vintage...They need to increase their batteries production. Fast. And significantly. Because of this, i see some 50K units this year. * Tesla - If Mitsu is small fish, the american brand is a just-out-of-the-shell-baby croc...A baby croc with a rock-star attitude wanting to (someday) swallow Big Whites whole in one piece, that's how ambitious they are. Fact is those large sharks (And everybody in that fishtank) are taking a close eye on it, hoping to smother it before it's too (Gigafactory) late. But enough of analogies, Tesla as the all-important Model X to launch and much relies on its shoulders, with the Model S probably stuck at making 35K this year, it will be up to the SUV to increase dramatically sales for Tesla, in this regard, timing will be essential, in order to know if Tesla reaches 70K or only 50K. * General Motors - With a second generation Volt coming, much is expected from it to stop the sales decline it has been experiencing since 2012, after all the american plug-in hybrid is still the second best-selling car ever on this segment, with the stupid controversial decision to euthanize the Opel Ampera, it pretty much depends on the US market to decide on the success of this car. I would go for 7.5K for Gen 1 Volt plus 25K for the Gen 2, with some additional 3K from the rest of the lineup. * Ford - As it has been evident in the last couple of months, small range PHEV have been hit by the low price of gas, and without any major news coming in 2015, they will have to sell at discount prices if they want to keep sales at the same level of 2014. So, 23K. * Toyota - Just like Ford, they have been hit with lowering sales, with the additional problem of an ageing car (The Prius has been here since 2010) and the general disinterest from the MotherShip, now with eyes only to its new baby, the Fuel Cell Mirai. I'm thinking 13K for the whole year. * BYD - If some seem to be disregarding the market, others are coming with everything they've got. 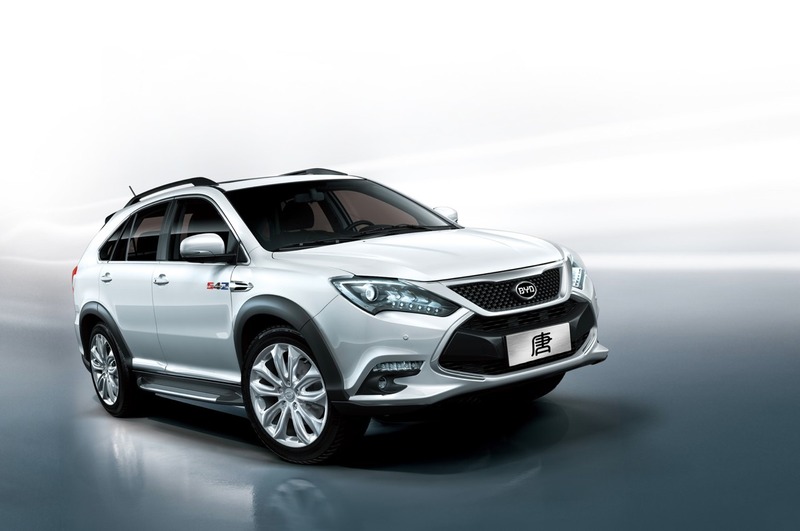 Besides the continuation of the success story Qin (18K for this year), and the upcoming Tang, there are more two SUV's promised, as well as an sucessor to the e6, all in the same year! The brand is known for delaying a bit their launches but all in all, i would go for some 35K this year for BYD. * BMW - Now that they have experimented the taste of plug-in success, they are coming back for more, now in the form of a PHEV SUV, the X5 will surely increase significantly the sales volume, the question will be: "By how much?". I would go for 5K for the X5 PHEV plus 25K for the i-branded cars. * Geely - Hot on the heels of the Kandi 2-seater EV success, there are insiders saying that four(!) new models are expected this year, even if this doesn't comes into reality, i can see some 20K coming from Kandi. 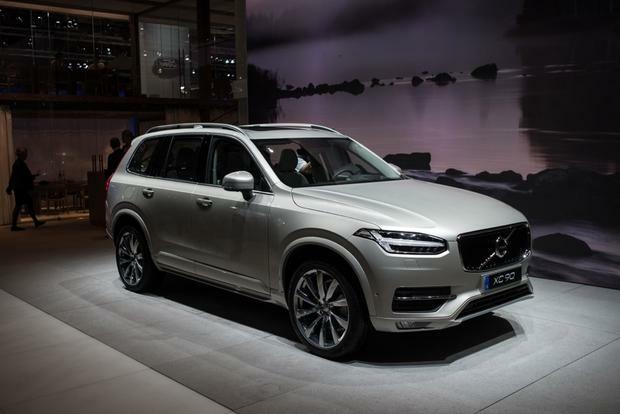 As Volvo is part of Geely, one has also to consider the impact of the new XC90 PHEV on sales, so i would go for 5K for the SUV going together with an additional 5K for the existing V60 Plug-In, making a total of 30K for the Geely Group. * VW - The Largest of the Large Great Whites in the Auto Industry is still relatively small in the EV Segment, but as the interest slowly rises and their deep pockets are starting to be used here, the lineup is starting to grow significantly, especially on the PHEV formula, i think the Golf GTE will be a (relative) sales success and will probably hit the 10K bar, and with the help of the Passat GTE and the rest of the lineup, sales will probably double and reach 25K. 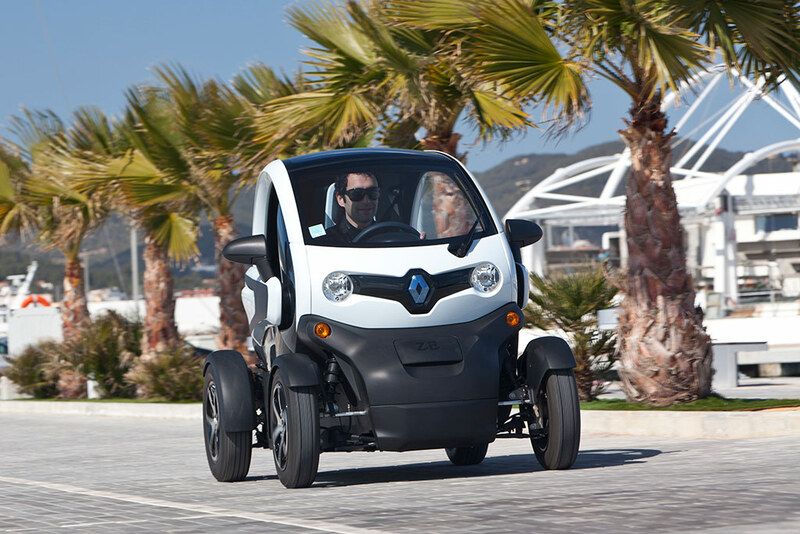 * Daimler - While Smart has seen a small but constant uptick in sales, the new Generation Fortwo ED should help sales to increase to some 8K, but the real challenge is Mercedes, after a 2014 (way) below expectations, one wonders how far can they go with their plug-in offerings, with the all important addition of the C-Class PHEV, one can imagine Mercedes getting up to 12K this year. Finally, looking at the market as a whole, i would think that the market will continue to grow at a steady rate, reaching some 450K units by the end of this year. With 11.000 units sold last December, some would say that the European EV market was down 40% regarding the same month last year and that would be due to lower gas prices and this would be the sign of a struggling 2015 for plug-ins in Europe. Yes, numbers can be played that way, but remember that at the time, sales highly were inflated by the Dutch year end rush, if we take that abnormal number (14.197) off, last months result is actually the best EVER in Europe, contributing for a yearly sales jump of 49%, ending at just a smidge over 100K units (100.060, to be more exact, which could be even a bit higher as some markets don't break sales by fuel source). Not bad for a struggling niche, eh? Looking at the monthly models ranking, the Renault Zoe delivered an astonishing result (2.538 units), performing a new Personal Best and a Year Best for a single model, while at the same time reaching #1 for the first time since June '13. Tesla also impressed, with 1.477 units, its best result since March, while in #6 we have another Renault, the workhorse Kangoo ZE had its best month since September '13, selling 582 units, underlining a perfect month for the french brand. On the YTD ranking, the Model S is up one position to #4, relegating the BMW i3 to #5 (And to think that the german hot-hatch was still #3 last October...), but we have to move to the second half of the ranking to see more last minute changes, with the Audi A3 e-Tron rising two positions to #19, while the Kia Soul EV climbed to #23. Breaking the ranking by segments, PHEV's were totally dominated by the Outlander PHEV (The #2 Plug-in Hybrid was the Volvo V60 Plug-In, only #7 in the ranking! ), while the Leaf collected the BEV trophy, the Rock-Steady (7 consecutive months on the 300/400 area) VW e-Up! won the A-Segment, the Zoe was revived just in time to recover the B-Segment title, the Leaf was the best selling C-car, while in the LCV's, the Renault Kangoo ZE revalidated the title, but the Nissan e-NV200 has been giving a fight lately, so we can see interesting developments here in the near future. Looking on the Manufacturers ranking, Mitsubishi won the Best-Seller Trophy, relegating the previous leader, Renault, for #2, while Nissan ended in #3, only 300 units behind its Alliance sister. Looking into 2015, i would see a slower growth rate, with total sales reaching probably the 120-something-thousands, while in the models ranking, the top positions will continue without major surprises, with Top Five models continuing their close run, with the Golf GTE possibly surprising the current status-quo at some point. Apart from the Leaf and Outlander PHEV numbers, i don't have accurate data for the UK, but the numbers were so high, that i just had to publish something. Some 14.000 plug-ins were sold last year in the UK, not only it has shattered the previous yearly record to bits (The previous record was around 4.000 units), but it also rose the UK to the fourth largest EV market in Europe, surpassing Germany(!). As consequence of this, the EV Share made an historic jump to 0,56%, miles above the 0,16% recorded in 2013. Besides the sudden sales surge, the big news in 2014 was the brilliant and somewhat unexpected career of the Mitsu Outlander PHEV, shooting right to Number One in its debut year, with 5.370 units, outselling the perennial leader (#1 since 2011) Nissan Leaf, which, despite doubling sales, couldn't resist the tidal wave made by the plug-in SUV. This dutch-like performance of the Outlander made the UK the third largest market for Mitsu's SUV, only behind Japan and Holland, while at the same time made the UK's PHEV share double from 22% in 2013 to 47% now. Looking at the top positions in general, we can see a majority of new models filling up the top spots, while the two resistants from 2013 saw their sales double, which is a good sign for the upcoming months. Looking for 2015, the top two will continue to run for #1, while the EV market as a whole will continue to grow, although with slower growth rates. I'm predicting some 19.000 units in the end of 2015, what do you think? An average month, with 2.513 units sold last month, which is 22% below the previous year, but nevertheless the YTD numbers ended with 32.403 units, a 2.000 units increase over the previous record. Looking at the YTD models ranking, the Leaf ended again in #1, achieving its Third Best-Seller Title (2011, 2013 and now 2014), with a new yearly record (14.177 units), while the #2 Mitsu Outlander PHEV disappointed, only improving slightly its performance over last year (+456 units to 10.064 units),The rest of the models have small numbers, but the Mitsu Minicab Miev Truck saw its sales dip to just 177 units. Looking at the brands ranking, Nissan (44%) won over Mitsubishi (37%), and with the addition of the e-NV200 coming soon, things can only get better for Nissan. 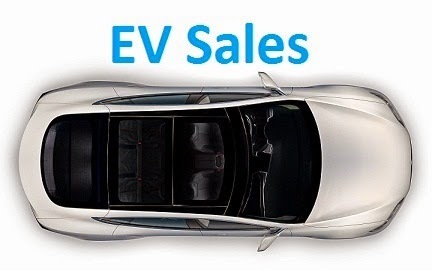 There were 39 EV's sold last December, mounting the full year sales numbers to 362 units, a 39% improvement over the previous record, placing the EV Share at 0,25%, not that far away from last year performance (0,23%), but this apparent inconsistency is explained by the two digit growth of the general market. The Nissan Leaf dropped to the YTD Second Place, with 60 units, with the Renault Twizy in Third, while in #4 we have a surprise, with the Mitsu Outlander PHEV registering an impressive performance, the best ever for a Plug-In Hybrid, with 39 units and 11% share. This year PHEV's have grown significantly in Portugal, with their share now at 25%, when in the previous year they had only 9%. Looking at LCV's, the Nissan e-NV200 managed to tie with the chronical leader Renault Kangoo ZE, both with 12 units. With Nissan actively promoting the Evalia / e-NV200, Renault will have to react if it wants to keep the leadership in this market niche. In the manufacturers ranking, Renault (25% Share) revalidated the Best-Seller title, just edging out BMW (24%) in Second, while Nissan stayed in #3, although not too far behind the top two, with 20% Share. There were 856 electric cars sold in SK last year, a new record, pulling the EV Share slightly up from 0,05% to 0,06%. Looking at the possible YTD ranking, Kia wins by a long shot, with 57% share, with the Soul EV succeeding to overcome the thought dead #2 Samsung SM3 EV and earn the Best Seller Trophy, with the BMW i3 winning a rather surprising #4, while the other Kia model (Ray EV) ends in #3 its last year on the market. A final mention for the Nissan Leaf, registering 30 units in December, will the japanese car gain traction in South Korea and become a relevant player?